As the driver of a passenger vehicle, it is imperative that you are focused on both the road and surrounding vehicles. As an Evansville, Indiana truck accident attorney, Your daily commute can consist of not only cars, but also an increasing number of trucks of all sizes. 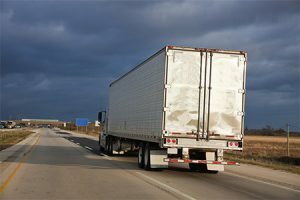 Statistics show that in accidents involving cars and large trucks, a substantial portion of the fatalities were occupants of the passenger vehicle. Moreover, it is not uncommon that the truck driver is often the negligent party in the accident. 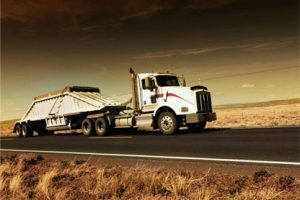 So, what should you do if you are involved in a serious truck accident, especially one that involves an injury? In such cases, you may need the services of a knowledgeable Evansville personal injury attorney. Being in an accident is generally nerve-racking on its own. However, if you are in a truck accident in Indiana, it is important that you document the events as much as possible. First, you’ll want to make note of your observations and take pictures at the time of the accident. Talk to all people involved in the truck accident, and make special note of the names, phone numbers, and insurance information for each driver. Also identify and write down the names of all witnesses who may be able to support your case if it ends up in court. Pictures, pertinent eyewitness accounts, and doctors’ diagnoses are vital elements of a truck accident claim. Thus, if you decide to hire an experienced Evansville personal injury attorney, this information will help to reinforce your case against the negligent party of the accident. Further, immediately after the accident, you should see a doctor of your own choosing, not one who is chosen by the insurance adjuster. Also, be sure to take pictures of all your injuries before they heal. Keep in mind that even just a seat belt strap may bruise you across the shoulder and chest; however, as the weeks pass, those bruises heal. Having documentation and photos will help solidify your personal injury claim and ensure that you are prepared for trial. If you find that you need the services of a competent Evansville, Indiana truck accident attorney, call Lane Siesky at (812) 402-7700 for a free consultation.